Weird Blend Wednesday is only a few weeks old but I am already in a position where I need to put it off for a week or two. The post I was planning to write actually will rely on two other posts that I haven't written yet so rather than jump the gun, I'm calling an audible and will be talking about an unusual, inexpensive little wine that I found while I was visiting my mother in South Carolina over the Christmas holidays. While scouring the shelves in the local wine shop, I found this bottle that said it was made from the Terret grape. Sounds simple enough, but things are never quite that easy around here. Terret is actually a small family grapes, much like the Pinot family, with (at least) three members. The Terret family has been around southern France for a long time and is marked by the frequency and ease with which it mutates. 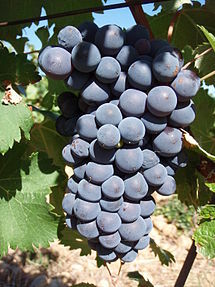 The three main members of the family are differentiated by the color of the skin of the berries, but some authorities have reported that the grape is so genetically unstable, there are some vines that have all three berry colors within the same cluster. 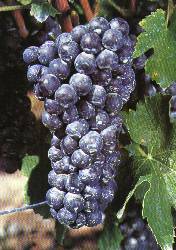 There is the red-skinned Terret Noir, which is perhaps best known as one of the official Chateauneuf-du-Pape grapes. In the early 19th Century it was very widely planted in southern France, but by 2007 total plantings throughout the country stood at under 200 hectares total. There is also Terret Gris which, as you might expect, is the pink-skinned version of the grape. Terret Gris is grown primarily in the Languedoc region of France and is officially allowed in the Corbières, Minervois and Coteaux du Languedoc AOCs. By the numbers, Terret Gris is the most commonly planted member of the family, covering about 2,500 hectares, but those numbers (and most official registers and statistics), for whatever reason, lump both Terret Gris and Terret Blanc together. Terret Blanc is the most unusual of the three and most sources indicate that it is a white-skinned mutation, meaning it is probably the newest member of the Terret family, though it isn't clear whether it mutated from the Noir or the Gris version. The heyday for the light-berried members of the Terret family was the 1980's when, taken together, Terret Gris and Terret Blanc were the ninth most planted grape in France, covering almost 5,000 hectares of land. We would all like to believe that quality revolutions are inherently good things, but they can leave some innocent bystanders in their wake. The quality revolution going on now in the Languedoc has been very good for many of the winemakers and for many consumers as wines from this region are increasingly sought after both for their high quality and their relatively affordable prices. This revolution started to happen when producers in the Languedoc began to pull up high-volume, low-quality vines and replace them with the international varieties that are well known to virtually all wine consumers. Vines like Terret, which are capable of making very interesting wines, are now also being pulled up and replaced with the recognizable international varieties to meet the new demand for wines from this region. The problem with Terret isn't that it makes bad wines. No, the problem with Terret is that it is called Terret and, like it not, most consumers are only interested in buying wines made from grapes that they have heard of. Cabernet Sauvignon and Chardonnay based wines will almost always outsell wines made from grapes like Terret, but, hopefully, there will also be some producers who are dedicated to preserving these unusual little vinous outposts for the more adventurous among us as well. I was able to find a bottle of the 2010 Marc Roman Terret for the paltry sum of $7. As this post from another blog tells us, this wine was bottled by the Cellier Jean d’Alibert, a cooperative located in the Minervois region of the Languedoc. There is no indication given as to whether the wine itself is made from Terret Gris or Terret Blanc, though if I were a gambling man, I'd put money on Terret Gris. Given the large amount of space dedicated to his name on the label for this wine, you might be inclined to wonder just who Marc Roman is. Frankly, I have no idea. The importer's website says: "Marc Roman is the 'nickname' of our winemaker who lives among the vineyards of Southern France near Montpellier. 'Roman' hails to the Roman history of the vineyards in this part of France, still evident today in the many frescoes and ruins that can be found in the vineyards." 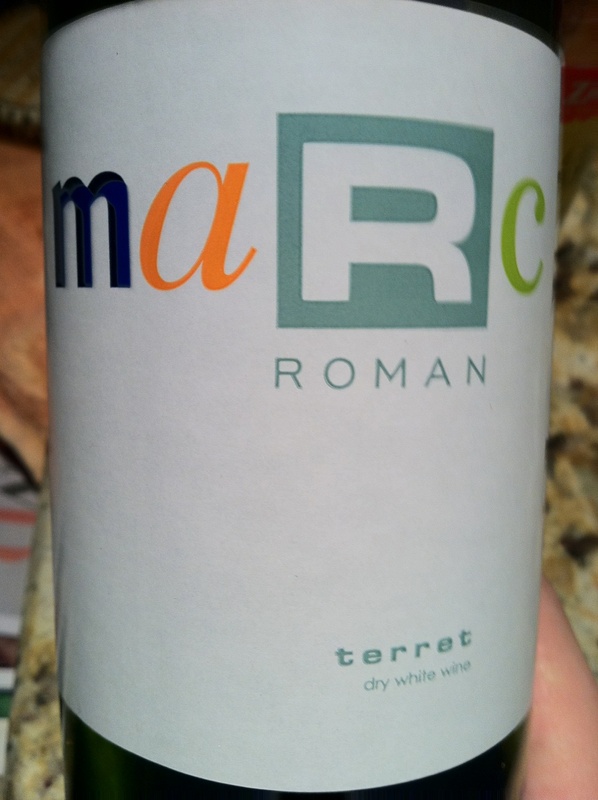 The Marc Roman "winery" or whatever it is only makes two wines: this white Terret and a red made from Malbec grapes. In the glass, this wine was a pale silvery gold color. The nose was nicely aromatic with ripe pear and melon fruits. It was pretty one-dimensional with the pear stealing the show, but that's somewhat understandable at this price point. On the palate the wine was on the lighter side of medium with medium acidity. There were flavors of ripe pear, ripe apple, green melon and a touch of lemony citrus. In my notebook I wrote "pears, pears & more pears," which lines up pretty well with my memory of the wine as well. It represents a tremendous value at only $7 a bottle and will probably appeal most to fans of Pinot Grigio or other light, refreshing wines with a lot of up-front fruits. Prieto Picudo is not a very interesting grape. I know that's not the best way to get you interested in reading more about it, but as far as I can tell, it's the honest truth. 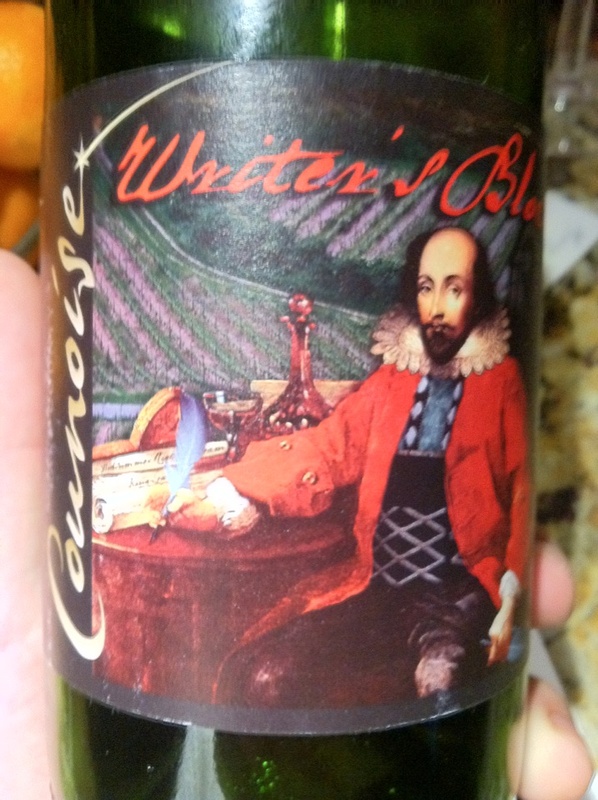 The Wikipedia page for it is not only not informative and very short, but it was almost certainly written by either the winery whose bottle is shown in the picture or by some other kind of PR organization with a pretty shaky grasp on the English language. The entry in the Oxford Companion to Wine isn't much better (though, as you might expect, their English is impeccable). They tell us that the grape is grown on about 5,000 hectares of land around the city of León in northwestern Spain. 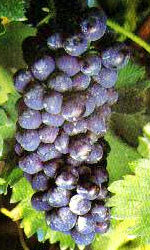 Further, the grape is "unusual," "musky," and "light in color but very distinctive." It is permitted for use in the Tierra de León, Valles de Benavente, Valtiendas DO regions, but a good deal of the production is bottled under the Vino de la Tierra Castilla y León heading, which is essentially the Spanish equivalent to a Vin de Pays in France or an IGT in Italy. Why much of the wine is relegated to this lower quality rung is a question that isn't explored or answered. Aside from that, there isn't much to say. A comment left on the VINEgeek site informs us that the word Prieto means "dark," referring to the fact that it is a dark-skinned grape, and Picudo means "peaked," which refers to the sharp taper at the bottom of the bunches. The always excellent Catavino adds that the grape is thought to be native to the León region of Spain and there are at least two clonal variants of Prieto Picudo: one with oval-shaped berries and one with round berries with the latter type being preferred for wine-making. Interestingly, that post from Catavino is from 2005 and the writer there seems pretty excited about the possibilities for Prieto Picudo given the wines that he tasted. In 2010, a different writer for Catavino was much less enthusiastic, saying in reference to six different Prieto Picudo based wines that he had recently tried: "To just about anyone, they were awful." To be clear, he wasn't slamming Prieto Picudo as a varietal, as he does say later in the pieces that he has had some good examples. His concern is more with the wineries, or at least the wineries represented in this particular tasting, and their improper treatment of the grape once it leaves the vine. Without knowing exactly which wines he tasted and exactly what their sin was, it's hard to come a judgement of one's own, though. And that's about it. There is a shocking lack of up-to-date books on Spanish wine, and the only older book that I have (the 1999 edition of Julian Jeffs' The Wines of Spain) doesn't make any mention of Prieto Picudo at all. I've only seen wines made from the grape in one wine shop in the Boston area (Marty's in Newton) within the last year, but, weirdly, they had two different examples. The one that I bought was the 2006 Dominio Dostares "Estay" from Castilla Y León, and I paid about $16 for it. In the glass the wine was a fairly deep purple ruby color that was nearly opaque at the core. The nose was moderately aromatic with red cherry, strawberry and red berry fruit along with some baking spice, chocolate and smoke. On the palate the wine was medium bodied with medium acidity and low tannins. There were flavors of red cherries and both stewed and fresh, brambly red berry fruit (as an aside, the tasting note "red berry fruit" makes me a little uncomfortable as I try to be as precise as I can, but sometimes I just have a vague sense of fruit that is red and berryish which doesn't announce its presence in a more assertive way, so "red berry fruit" it is). There was also a touch of baking spice and a kind of cedar-y woodiness as well. As it opened up, it picked up something that I've never really been able to put a name to, but which is always unwelcome in my glass. The closest I can come to describing it is that it tastes kind of like the strawberry flavor of those awful candies that Life Savers makes called Creme Savers. In my notes I write "strawberries and cream," but it's that artificial kind of cream that those candies had (or, similarly, like the artificial cream flavor in Cream Soda soft drinks). I've picked it up in red wines made from a variety of grapes, so I'm guessing it's something that happens during the winemaking process, but when it shows up, it's a total deal-breaker for me. This wine wasn't the worst offender that I've ever tasted, but that flavor was there. I'm willing to try another example of wine made from this grape from another producer, but I probably won't go out of my way to seek one out or pick one up. Hello and welcome to the third installment of the Weird Blend Wednesday series! Things have been a little tame around here lately as many of the grapes and wines that I've written about have been pretty straightforward, lacking any real mystery or controversy. I hope to shake things up a little bit today and talk about one uncontroversial grape, Sciacarello, and one that's a little more interesting, Nielluccio. 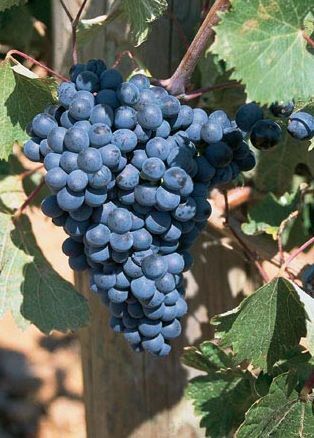 For many years, there was controversy and disagreement surrounding the Nielluccio grape, with the main point of contention centered around questions concerning its origins. One camp held that the grape was indigenous to the island of Corsica, while the other held that the grape was imported there from the Italian mainland during the time that it was under the control of the Genoese. Oz Clarke is purportedly a proponent of the former position (in his Grapes and Wines which was published several years back, so his position may have changed) while Jancis Robinson is a proponent of the latter, having recently switched over from the indigenous camp. In the beginning, both camps were arguing under the assumption that Nielluccio was a distinct grape variety that could not be found anywhere else. Later on, it was determined that Nielluccio was ampelographically identical to the Sangiovese grape, and many began to speculate that the grapes were either very closely related or, possibly, even identical (or clonally variant at least). To read the Wikipedia entry on Nielluccio, one would think that the debate is still raging and the answer is still to be determined. It is not. A research group from Bologna, Italy, published a study in 2005 which compared the DNA of 39 registered Sangiovese clones as well as 34 "biotypes" of Sangiovese to the acknowledged "reference standard" of Sangiovese to see if there were any differences. The 39 clones all came back as identical both to one another and to the reference standard, while of the 34 biotypes, all but six were identical as well. 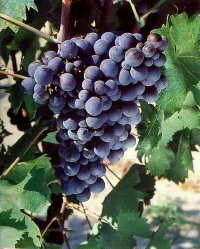 Nielluccio was not one of the six, meaning that it is genetically identical to Sangiovese. Of the preceding argumentative positions regarding Niellucio, this finding really only completely discredits the one that holds that Nielluccio is indigenous to Corsica, since we know Sangiovese is not ultimately a Corsican grape. The theory that the Genoans brought it over at some point during their rule of the island is still a possibility, though, and is currently the most widely accepted explanation of Nielluccio's presence on Corsica, where, as of the year 2000, it was planted on about 1600 hectares of land, representing about 14% of the total plantings within Corsica. Sciacarello is a bit more straightforward. It is thought to be the same grape as the Mammolo that is grown in Tuscany and used as a minor player in both the Chianti and the Vino Nobile di Montepulciano blends. The Italian name Mammolo comes from the grape's purported aromatic similarity to violets, called mammole in Italian. It is generally regarded as the more interesting red Corsican specialty grape, but is only planted on a few hundred hectares of land throughout Corsica. There are a handful of varietal examples, but I haven't been able to find any to date. I was unsure whether I would write about this wine or not since it is mostly comprised of relatively common grapes, but the fact that the wine was from Corsica was what finally swayed me. Corsican wine isn't incredibly rare, but it isn't exactly common either. Corsica itself is the fourth largest island in the Mediterranean, which, while it belongs politically to the French, is much closer to Italy both geographically and culturally. It is less than 7 miles north of Sardinia and 56 miles west of Tuscany, but is about 105 miles away from the Provençal coast of France. It was controlled by the Republic of Genoa for over 500 years, from the mid-13th Century until well into the 18th Century. The Genoans enacted strict rules on viticulture and viniculture and would not allow the Corsicans to ship their wine to any port outside of Genoa. The Corsicans struggled for their independence, and in 1755 proclaimed themselves sovereign as The Corsican Republic with the publication of the Corsican Constitution. The Genoans didn't really want to deal with this kind of trouble so in 1764 they secretly sold the island to France. The French slowly began to build up their presence on the island until 1768 when the Genoans openly announced that they were ceding the island to the French in perpetuity with no possibility of retraction. The Corsicans revolted at the news but were ultimately defeated and the island was officially annexed onto France in 1770. Napoleon was born in Ajaccio, Corsica, in August of 1769, and one wonders how much differently history may have played out if Napoleon's home had not been transferred to France when it was. The wine history of Corsica goes back thousands of years. It is thought that there may have been some indigenous vines on Corsica, but when the Phoenicians settled the island, they certainly brought many of their own vines from their other territories. Corsica came under Islamic rule around the 7th and 8th Centuries AD, and since the Islamic religion forbids the consumption of alcohol, the winemaking industry on the island suffered badly. It rebounded significantly under Genoan rule, becoming famous throughout the European world, but was still limited by the Genoans strict control over the entire industry. The Genoans definitely had the largest impact on the wine culture of the island, as can be seen in the wealth of Italian grapes that are still cultivated all over Corsica today. The government sought to expand the Corsican economy in the 19th Century by focusing on winemaking, but the plan was derailed severely with the onset of Phylloxera. When vines were finally replanted, many of them were planted to productive but bland French grapes like Carignan and Cinsaut and Corsica became a significant contributor to the European wine lake. The EU vine-pull subsidies of the 1980's were very successful in Corsica, eliminating about 7000 hectares of low-quality vines and putting the focus more on higher quality grapes like Nielluccio, Sciacarello, Vermentino and some of the international varieties. The wine that I picked up was from the Calvi sub-region of the island, located in the extreme northwest corner near the town of Calvi (just north of Ajaccio, where Napoleon's family made wine). The soils here are predominantly schist with some granite. The island is generally warm and sunny with regular rainfall, but very little rain during August and September, which usually creates ideal conditions for harvest. The AOC rules stipulate that to qualify for the Corse Calvi designation, the finished wine must be made up of at least 50% Nielluccio, Sciacarello and/or Grenache together, while Barbarossa, Carignan, Cinsaut, Mourvedre, Syrah and Vermentino combined cannot account for more than 50% of the total blend with the further restriction that Vermentino and Carignan cannot make up more than 20% of the blend. I picked up a bottle of the 2007 Domaine Maestracci "E Prove" Corse Calvi wine from my friends at the Spirited Gourmet for about $17. The wine manager there told me the wine was about 1/3 Nielluccio, 1/3 Grenache, 1/6 Syrah and 1/6 Sciacarello. In the glass the wine was a fairly deep purple-ruby color. The nose was moderately aromatic with dusky black cherry and black plum fruits with some wet leather and cocoa powder. It was a very nice and appealing mixture of fruit and earth. On the palate the wine was medium bodied with fairly high acid and some fairly serious tannins. There were flavors of bright red and black cherry fruit with some blackberry, smoke, leather and tobacco. Right after opening the fruits are predominantly red, but as the wine opens up they shift over to a darker, more brooding kind of character. The whole way through, though, the wine is marked by an excellent balance between its vibrant fruit and duskier earthy flavors all held together with a solid vein of acidity and tannic skeleton. The wine is enjoyable enough to drink on its own but it really does need food to truly show its stuff. Any red meat would be fine, while the acid means that it could stand up to fattier meats or sauces as well as tomato-based sauces. The wine is versatile enough where you really don't have to over-think the pairing and at only $17, you can buy a few bottles to have on hand anytime. Today's post will be short and sweet because, well, there just isn't a whole lot to say about today's grape. It's called Noiret and it was released to the public for cultivation only in 2006. It was created and tested by two Cornell professors named Bruce Reisch and Thomas Henick-Kling at Cornell's New York State Agricultural Experiment Station in Geneva, N.Y. The original cross (between Steuben and NY65.0467.08) was made in 1973 and first planted in 1975. They started testing the grape for its winemaking abilities back in 1980 but final approval for commercial sale didn't happen until 2006. I don't think that the process for all hybrids and crosses takes quite that much time in general, but that does give you some idea of how arduous a task it can be to create new species of grapes. The grape's family tree is unbelievably complex, but it is also more or less fully mapped out here. There are a number of familiar faces there as well as a lot of strings of numbers that probably won't mean anything to you unless you are yourself a grape breeder. They are basically grapes that have been bred at a breeding station but have not been released commercially. They have various characteristics that are useful for breeding, such as particular disease resistances or weather hardiness, but also have some other flaw that would prohibit their planting on a commercial scale. Noiret looks to have a very interesting mix of vinifera grapes, hybrid grapes and breeding specimens throughout its family tree. Like most grapes that are bred at these breeding stations, Noiret was specially bred to have certain characteristics. It was certainly bred to have some degree of cold hardiness, and it is considered moderately hardy (meaning that the vines will likely survive in conditions between -5 and -15 degrees Fahrenheit). The only major disease problem listed for Noiret is a moderate susceptibility to downy mildew of the fruit and leaves, meaning that the grower would need to take care in conditions that are conducive to the spread of those fungi. It has a fairly late bud-break which means that spring frosts aren't really a concern. The big selling points for the grape are that it is able to impart a deep color to its wines and, best of all, it doesn't have any of the foxiness that can plague some hybrids. There are some table wines being made from the Noiret grape, but when I was in the Finger Lakes region a few months ago, the only wine I was able to find was a Port-style wine from Red Newt Winery on Seneca Lake. It's from the 2007 vintage, which I guess either means that they are using very young Noiret grapes for this wine or they have access to vines that may have been planted prior to 2006. In any case, the blend is 73% Noiret, 20% Syrah and 7% Cabernet Franc and a 500 mL bottle set me back about $24 at the winery. In the glass the wine was a deep purple ruby color with a very narrow purple rim. The nose was moderately aromatic with raspberry and blackberry fruits, both fresh and dried, along with some chocolate and raspberry liqueur. On the palate the wine was medium bodied with fairly high acidity, no tannins, a touch of sweetness and an obviously high alcohol content. There were flavors of cocoa powder, dried blackberry and black cherry, stewed raspberries, espresso and bittersweet chocolate. There was also a very distinctive raspberry liqueur flavor that was really dominating the palate. I found the alcohol a little awkward, mostly because the body really wasn't fleshy enough to prop up the Port alcohol levels. Overall I found it very enjoyable, though, and enjoyed my bottle with some homemade chocolate-raspberry clafoutis, which it turned out was an excellent pairing. I hope to be able to track down a table wine made from the grape before too long and will report back when I'm able. I'll confess that I have a bit of a soft spot for hybrid grapes. That's not the kind of admission that you can make in certain company, as the common consensus on hybrid grapes and the wine produced from them is that they are mostly forgettable curiosities made in places where people probably shouldn't bother trying to grow grapes at all. But that's part of their charm for me. I love that they allow people in unpleasant (or sometimes downright hostile) climates to grow grapes and make wine. Sure, you can argue that these wines aren't ever going to blow your mind, but you can also say that about 99% of the wine being made today anyway. Not every wine has to be amazing, after all, and if a wine can't be amazing, then I'd prefer that it at least be interesting. What I like about the hybrids is that even when the wine itself isn't all that interesting (and let's be honest, a lot of it really isn't), there's still a story behind it and how it came into existence. I realize that that kind of thing may excite me more than most, but I've learned to live with it. 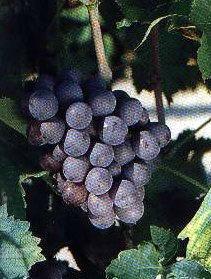 Marechal Foch belongs to a group of grapes that are informally referred to as the French Hybrids. We've taken a look at a few of these hybrids and I've written fairly extensively about their history in my post on the Chambourcin grape, which interested readers are invited to peruse at their leisure. For those who are fanatical about the proper placement of diacritical marks, I do realize that the grape's proper French spelling is technically Maréchal Foch, but since the French have decided that they're too good for hybrid grapes, I've decided that the Americanized spelling is good enough for me. Maréchal is the French word for "marshal" and the grape is named for a French general named Ferdinand Foch who was named Maréchal de France in 1918. Foch was also the Allied Supreme Commander in charge of all French, British and American armies in France during World War I. He was heavily involved in creating the armistice treaty that ended that war, though he was prescient enough to say at the time "This is not a peace. It is an armistice for twenty years." Foch himself didn't have anything to do with the creation of the grape that now bears his name. It was created in Alsace which, those of you who are up on your geography know, is located right on the border between France and Germany. Alsace has gone back and forth between the two countries several times. It was annexed by Germany in 1871 but France got it back after World War I (and later lost it prior to WWII, regaining it again after that war). The grape's creator, Eugene Kuhlmann, named it for the great French general as an homage. Unusually for a hybrid grape, Marechal Foch's parentage isn't precisely known. Most hybrids are created in laboratory type conditions, so there is usually a lot of documentation for them, but, perhaps because of the precarious location of Alsace through World War II, the documentation for Marechal Foch isn't complete. 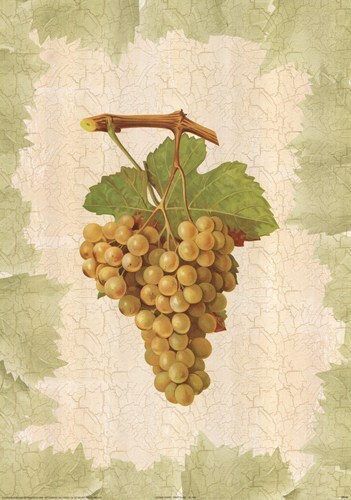 Some believe that it is a product of a grape called Goldriesling (itself a cross between Riesling and Courtillier Musqué) and an unidentified vine that was itself a crossing between a v. riparia and a v. rupestris vine. Others believe that it is the offspring of Pinot Noir and a hybrid called Oberlin 595. Whatever the case, the grape was commercially introduced in France in 1920 and in the US in 1951, having come over from Canada. The vine yields small bunches of small grapes which are apparently virtually irresistible to birds. It is grown to some extent in the Loire Valley, though those grapes cannot legally be used for any commercial wine production. It does bud early and ripen fairly late, which you would think would make it unpopular in colder regions, but it is grown fairly successfully in Canada and in the Finger Lakes region of New York. I picked up two wines made from the Marechal Foch grape while traveling in the Finger Lakes a few months back. The first wine that I picked up was from the Prejean Winery on the western shore of Seneca Lake. I bought their 2008 vintage Marechal Foch for about $12. In the glass the wine was an inky, opaque black color with a very narrow purple rim. The nose was moderately aromatic with juicy blackberry and blueberry fruit along with some smoky charcoal and chocolate and a touch of something meaty and savory. On the palate the wine was on the fuller side of medium with fairly high acid and very low tannins. There were flavors of tart cherry, cranberry and blackberry fruit with a touch of smoke and bittersweet chocolate. The wine was really tart which was surprising given how rich and dark the nose was. I've noticed with quite a few of these hybrid grape wines that I find their aromatics very appealing, but ultimately find the wines themselves to be sour and a little thin. This wine definitely followed that pattern. I have in my notes that this was "all treble and no bass" and that seems like a pretty succinct summary of it. Even at a paltry $12, there isn't a lot in this wine to recommend it. The second wine that I picked up was from Atwater Estates on the eastern shore of Seneca Lake. I bought their 2008 Maréchal Foch, French spelling and all, at the winery for about $24. In the glass the wine was a deep, inky purple ruby color. The nose was nicely aromatic with blackberry, black plum and black cherry fruit. There was a distinct meaty, gamy aroma that was really interesting. On the palate the wine was on the fuller side of medium with fairly high acid and soft tannins. There were cherry and black plum fruit flavors with smoky, leather undertones. There was a slightly tart, slightly bitter cherry pit kind of finish to it. This wine was much deeper and darker than the Prejean and much more balanced overall. The plush fruits were nicely balanced by the smoky, leathery earthy components. The bitter finish was a bit too noticeable for my tastes, but overall I really enjoyed this wine. It's a little expensive for what it is, but it was the best varietal Marechal Foch that I had while I was in the Finger Lakes. This winery's tasting room is also a pleasure to visit and the pourer was funny and engaging. It's definitely one of those places and those wines that I'll definitely revisit when I come back to that region. Hello, everyone and welcome back to Weird Blend Wednesday. Today's wine is a fun little field blend from the Valle d'Aosta that is made up of several different grapes that are specialties of the region. I think. See, this wine is sold as a vino da tavola, or, this close to the French/Italian border, a vin de table, which means that the only thing that the bottle can say is whether the wine is white or red, who made it and the name that the producer has decided to give to the bottling, if any (in this case, the wine is called Cuvé de la Côte). No vintage, geographical indication (other than the country of origin) or grape make-up is permitted on the bottle at all, which isn't usually a problem in this day and age since many producers just put that kind of stuff online and let the consumers find it themselves. For this wine, though, the only information available is from the distributor (the great Louis/Dressner) who only offers that the wine "is a field blend from a parcel of particularly old vines." There's really no telling exactly what is in this bottle, and it's possible that the winemaker may not even know, if the parcel is old enough. The guys at the Wine Bottega, where I picked this bottle up, said that it was most likely a blend of the four grapes mentioned above, and so that's what I'm going with. We've already taken a good, long look at two of the four alleged grapes in this blend. Petit Rouge is the savage little grape that forms the base of the wines from the Enfer d'Arvier and Torrette sub-regions within the Valle d'Aosta. Cornalin is the confusing little grape that is a different thing depending on where you find yourself. If you're in Italy, you're probably talking about Cornalin d'Aoste, which is usually called Humagne Rouge in Switzerland. If you're in Switzerland, Cornalin refers to a different grape, known as Cornalin du Valais, which is actually one of the parents for Cornalin d'Aoste. It's a long, tangled story that you can peruse at your leisure via the link above. The other two grapes are Mayolet and Vien de Nus. Mayolet is certainly the more common of the two grapes and can occasionally be found in varietal form, while Vien de Nus is pretty much a blending grape. Mayolet is referenced in writings dating back to the 18th Century and is thought to be indigenous to the Valle d'Aosta. Recent DNA testing has shown that Mayolet is one of the parents of Cornalin du Valais (Petit Rouge is the other), which means that both Petit Rouge and Mayolet are the grandparents of Cornalin d'Aoste (Vouillamoz, J., Maigre, D., Meredith, C.P. (2003) Microsatellite analysis of ancient alpine grape cultivars: pedigree reconstruction of Vitis vinifera L. "Cornalin du Valais." Theoretical and Applied Genetics, (107) 448-454). This wine, then, is kind of like a little family reunion in a bottle where Vien de Nus plays the role of a longtime neighbor who is like an honorary uncle, even though he isn't really related by blood to anyone there. Vien de Nus also has a long history in the Valle d'Aoste and is thought to be native to the region, but if there is any genetic link between it and the other three grapes in this wine, I haven't been able to find it. The wine that I was able to try was made by Franco Noussan who lives in the village of St. Christophe in the hills above the town of Aoste. His bio on Louis/Dressner's site says that he works at the local university, which it turns out is the Institut Agricole Régional, the local agricultural school where the Cornalin and Prëmetta I wrote about earlier came from. His winery is essentially an extension of his garage which he dug into the hillsides around his house. He has several parcels scattered around St. Christophe including one with vines over 70 years old, which is where I presume the grapes for this wine came from. Altogether he farms about 5.5 hectares of land which he works without herbicides. He hand harvests all of his grapes and uses only indigenous yeasts in his fermentation. He has been making wine for his family and friends for many years but has only been offering them commercially since 2005. I picked up my NV bottle of the Noussan Cuvé de la Côte from my friends at the Wine Bottega for about $25. In the glass, the wine was a medium purple ruby color. The nose was very aromatic with black cherry, black plum and wild raspberry fruits with a touch of smoke. There was something wild and savage to the nose that was very interesting and deeply compelling. On the palate the wine was on the fuller side of medium with fairly high acid and medium tannins. There were flavors of black cherry, dried cherry, wild raspberry and blackberry fruit with smoke, char and a little bit of funk. It was wild and complex but really nicely balanced as well. There was a good mixture of red and black fruits with nice charred, smoky undertones to it that was all held up with a lively vein of acidity. I really felt like the wine over-delivered in terms of complexity and depth for the price, especially since wines from the Valle d'Aoste tend to be fairly expensive because of their limited production. It would go well with all kinds of food but I think something with duck or sausage would be great as the bright acidity here would just cut through the fat and match well with meat that's a little funky. Counoise is one of those grapes that you may have already had, though you might not be aware of it. It finds its way into wines in such small proportions that not only would the winemaker probably not bother to mention its inclusion on the wine's label, but even if they did, it would have been nearly impossible to really get a sense for what the grape tastes like. It is perhaps best known in the Châteauneuf-du-Pape region of France, where it is one of the thirteen varieties allowed in the region's red wines. Many Châteauneuf-du-Pape producers don't give any indication on their bottles what grapes and proportions are used in their wines, though, so it may be hard for one to say definitively whether there's any Counoise in a given bottle. Château Beaucastel is a famous exception as they are well known for using all thirteen varieties in their wine and, according to their website, their final blend typically contains about 10% Counoise. On the whole, though, the chances of a little Counoise ending up in your average Châteauneuf-du-Pape bottle aren't all that good. Less than 1% of the total vineyard area of Châteauneuf-du-Pape is planted to the Counoise grape. Counoise can also be found throughout some of the other regions of Southern France like Languedoc-Roussillon, but not in any significant numbers. In 2000, there were only about 1500 acres (about 640 hectares) planted to the grape in all of France. Exactly where the grape ultimately came from isn't known, but there is a story that the grape may have come come into France via Spain. The story goes that a papal office made an offering of the grape to Pope Urban V during the period of time (the 14th Century) that the papacy was located in Avignon (whence Châteuneuf-du-Pape, or "the Pope's new castle," gets its name). The grape was spread throughout the region and used primarily as a blending grape until the late 19th Century when the Château la Nerthe estate began to use it more heavily. Their example wasn't followed by other producers, though, until Beaucastel decided to increase its presence in their blend. It has never been a star in Châteauneuf-du-Pape (or anywhere, really), for a variety of reasons. The main reason is that it is only an average yielder so it never really caught on in the more productive regions of southern France in the way that Carignan did. Further, wine made from the grape oxidizes easily and lacks tannic structure, so it isn't really well suited to lengthy bottle aging. Since many Chateauneuf-du-Pape bottlings are made to undergo serious cellar time, extensive reliance on high doses of Counoise isn't really feasible. It does, however, provide nice acidity and a peppery kind of flavor that blends well with Grenache and Syrah, which has probably helped to keep it around in the Châteauneuf-du-Pape vineyards. I was able to try two wines made predominantly from the Counoise grape. The first was the Domaine Monpertuis "Vignoble de la Ramiere" which I picked up locally for about $12. This estate is located within Châteauneuf-du-Pape, though the vineyard that these grapes come from must not be. It would be legal to bottle a 100% Counoise under the Châteuneuf-du-Pape AOC, but this wine is labeled as a vin de pays, which makes me think that it must fall somewhere outside the boundary. In the glass the winew as a medium purple-ruby color. The nose was nicely aromatic with wild strawberry and raspberry fruit along with some tea leaves and a kind of damp leafiness. On the palate the wine was medium bodied with fairly high acidity and medium tannins. There were flavors of wild strawberry and stewed red berries along with some leather, wet leaves and chocolate. The wine was very berryish with an interesting leafy earthiness to it. It actually reminded me quite a bit of the Mencia grape from Spain. To go a little more mainstream, it was somewhere between a Loire Valley Cabernet Franc and a light Oregon Pinot Noir. Those looking for solid, red-berry fruit dominant red wines would be well-served checking this out as it represents a very nice value for only $12. The second wine that I tried was the 2007 Jed Steele "Writer's Block" Counoise from Lake County, California. I picked this up over the Christmas holidays near my mother's home in South Carolina for about $17. There are a handful of California winemakers messing around with the Counoise grape and Jed Steele is one of them. This wine is about 90% Counoise with the remaining 10% coming from Grenache and Syrah grapes. The grapes come from a small parcel within the Jacobsen Vineyard owned by the Jed Steele estate. Those interested in the finer details of the wine-making process for this bottle are directed to the winery's website here. In the glass the wine was a fairly light ruby color. The nose was nicely aromatic with briary, brambly raspberry and blackberry fruit fruits with some black cherry and leather. On the palate the wine was on the fuller side of medium with fairly high acid and fairly low tannins. There were flavors of black cherry and blackberry fruit with some charcoal, smoke, baking chocolate and cola. There was a bit of wild strawberry and spicy black pepper, but overall, the flavor profile on this wine was a bit darker than the French version, though it still had a wild, berryish kind of appeal. I found this version much more deep and interesting and felt that it definitely was worth the extra $5. Prosecco used to be so simple. If a bottle was labeled as Prosecco, you knew where it came from and what grape was used to make it because both went by the same name. There was only one DOC zone, Prosecco di Conegliano Valdobbiadene, whose rules stipulated that the wine made there had to be comprised of at least 85% Prosecco grapes. Since Prosecco was both a place and a grape, it was so easy to understand. Leave it to bureaucrats and marketers, though, to come in and complicate a simple thing. In addition to the one DOC zone, there were also a handful of IGT regions located nearby that were able to use the word Prosecco on their labels because it was the official name of the grape used to make the wine. Fearing that consumers were too dumb to be able to figure out the difference between an IGT Prosecco wine and a DOC one, the authorities stepped in in 2009 with a new plan. The Prosecco di Conegliano Valdobbiadene DOC region was elevated to a DOCG and the former IGT regions were all elevated to DOC status. The Prosecco grape, though, would no longer officially be known as Prosecco, but would now be officially known as Glera (Glera has always been one of its synonyms, but Prosecco was by far the most common name for the grape). Further, only the Prosecco di Conegliano Valdobbiadene DOCG region can now use the name Prosecco since, by changing the grape's name, the authorities had turned Prosecco into a geographical designation rather than a viticultural one. The newly formed DOC regions have to use the name Glera if they want to refer to the grape that they use to make their wines. So now we live in world where you go to Prosecco to drink Glera, which is a little confusing because the town central to the new DOCG is called Valdobbiadene, not Prosecco. There is a village called Prosecco, which is likely the source for the original name of the grape, but that village is in Friulia, near Trieste on the Slovenian border (where, oddly enough, they call the grape Glera). Some maintain that the grape is originally from there, while others believe it's from the Colli Euganei, about 30 miles south of Valdobbiadene, where the grape is known as Serpino, which is easily the coolest of the grape's synonyms. 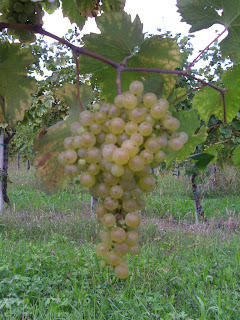 The grape's history in the area around Valdobbidene can be traced back to the early 19th Century, though some believe that the vinum pucinum mentioned by Pliny in Roman times may be a reference to the Glera grape, though as we've noted many times, tracing any modern grape back to Pliny is a difficult task. 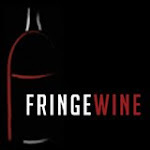 All that is well and good, you may be saying to yourself, but is this Fringe Wine guy really trying to pass Prosecco off as an unusual grape just because it's now called something different? Well, no. I'm well aware that Prosecco is everywhere (even, apparently, in one of those Facebook games called CityVille), but that's fizzy Prosecco. The Prosecco di Conegliano Valdobbiadene DOC produced over 250 million bottles of wine in 2000, the overwhelming majority of which was either fully sparkling or frizzante. No, what I've found is a still wine made from the Glera grape, which is a rare bird indeed. The DOCG regulations do allow for the production of still wines, though very few producers bother as the fizzy stuff is what people really want. Prosecco sales have been on the rise, especially lately, as people are beginning to turn away from more expensive options like Champagne in these rough economic times. The method that makes Prosecco so much less expensive (the Charmat method) also tends to make the wines more fruit-forward with fewer of the bready, yeasty secondary flavors and aromas that mark traditional method sparkling wines. Prosecco is an easy drinking, crowd-pleasing kind of wine and the bubbles are a major part of that image for consumers. While marketing is a big reason for the tiny production of still Glera-based wines, the perception of the grape as somewhat bland and uninteresting is certainly another. Bubbles, especially cheap bubbles, are a good way to put a little sauce on a dry steak, so to speak. Finally, Prosecco has, historically, almost always been a sparkling wine. The early history of the grape's cultivation reads an awful lot like that of the Mauzac grape. 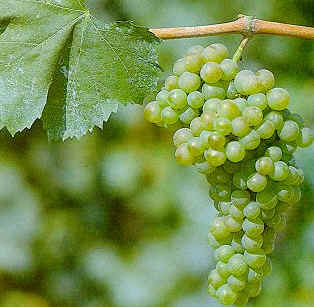 Prosecco ripens very late and so it doesn't go into the cellar for vinification until late fall or early winter. The wine usually wasn't finished with its fermentation before the temperatures dropped so low that the yeasts kind of fell asleep and stopped doing their work. The winemakers would bottle when the vats stopped bubbling and, since filtration wasn't a common practice, the sleeping yeast cells would be bottled along with the slightly sweet wine. When the temperatures warmed up, the yeasts woke up and carried on their work inside the bottle, expelling CO2 as they carried on, which didn't have anywhere to go inside the sealed bottle, and so was absorbed into the liquid, creating little bubbles. People liked this style and, through the years, Prosecco wines have become synonymous with bubbles. The wine that I had, though, was the 2008 (prior to DOCG elevation and, thus, "just" a DOC wine) Adriano Adami "Giardino" Prosecco, which I picked up from my friends at Curtis Liquors for about $18. This wine was 90% Glera and 10% Chardonnay and the grapes come from the Giardino vineyard, which the Adami family has owned since 1920. Most of the grapes grown on this site end up in a kind of prestige cuvée, but they specially select some for this still wine. The grapes are lightly pressed before being fermented in temperature controlled stainless steel where the wine stays on the lees for three months. In the glass the wine was a very light, almost clear silvery lemon color. The nose was fairly aromatic with green apples and lemon peel and just a hint of leesy funk. On the palate the wine was on the lighter side of medium with fairly high acid. There were racy flavors of green apple and lemony citrus. This wine was definitely on the wrong side of its lifespan (the Adami website recommends drinking within a year of the vintage), but it was still holding together very nicely. It's simple and fruity with a really nice vein of acidity to hold it together. At $18, it's a bit steep, though, and there are much better values out there, though if you can find a fairly young version, I'd imagine that it's pretty tasty given how well it has held up over time. Today I'm debuting a new feature that I like to call Weird Blend Wednesday, where I take a look at a wine I've tried that is a blend of several different unusual grapes. As a general rule, I usually like to stick with varietal wines for this site, but sometimes I come across something that is full of really interesting grapes that I just can't pass up. The problem is that they don't really fit in with the format that I've been working with over the past year or so, so I end up either not drinking them, which is no fun at all, or drinking them and staring at the tasting note for months with no idea how to incorporate it into the site. So, if I have a wine that is made up of three or more different grapes and it isn't clear whether one of the grapes in the wine makes up at least 50% of the total blend, then I'll relegate it to this little corner of the blog. Welcome, friends, to Weird Blend Wednesday. Today's featured wine is from the Vinho Verde region of Portugal, which we've taken a brief look at before when we talked about the Espadeiro grape. As mentioned in that post, Vinho Verde is a wine region in northern Portugal. Many of the wines that are made there are light, spritzy white wines that are so prevalent that many people think that Vinho Verde refers to that particular style of wine rather than the region, but wines from Vinho Verde come in all different colors and styles, from light spritzy whites to deep brooding reds. Today's wine is somewhere in between. Like the Espadeiro I wrote about previously, this was a rosé wine made from a blend of three different grapes: Alvarelhão, Pedral and Vinhão. Like many Portuguese wines, I can't find any indication either on the bottle or online about how much of the blend each grape makes up, so this wine is the perfect bottle to kick off Weird Blend Wednesday. Alvarelhão is a red skinned grape that is currently grown on less than 500 hectares of land within Portugal. 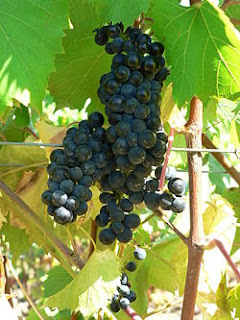 It is one of the many permitted grapes in the Port blend, though it is usually little more than a bit player. Its main synonym within Portugal is Brancelho, and it is known in Galicia, just over the Spanish border, as Brancellao. It's not a particularly productive grape, but it makes up for it by being resistant to extreme temperatures and bad weather, which is helpful in the wet Vinho Verde region. It is thought to be native to the Dão region of Portugal. Pedral is also a red-skinned grape that is grown both in Spain, particularly in Galicia where it is known as Pedral, and Portugal, where it can often be found under the names Padral or Cainho. It's grown mostly in the Monção sub-region of Vinho Verde, where it is one of the recommended varieties for planting, but it may actually be Spanish in origin. It's pretty hard to say. There isn't a whole lot of information out there about this particular grape. Vinhão is more commonly found under the names Souzão or Sousão, depending on where you are. It is thought to be native to the Minho region of Portugal, which is in the extreme northwest corner of the country. It is also one of the approved Port grapes, where, when it is used at all, it is prized for the deep color that it can provide to the wine. While Portugal is the grape's native home, most of the world's plantings are found in the New World. Australia uses the grape for their own take on Port while California and South Africa are also in the Vinhão business, presumably for its coloring effects, as wine made from the grape is not generally held in much esteem. It seems that we'll get a chance to see if that's true before too long, as I have a Spanish bottle of wine made from the Souson grape which, according to the VIVC, is none other than Vinhão. The wine that I tried which was made from these grapes was the 2009 Muralhas de Monção (which means "the walls of Monção") Vinho Verde rosé, which I picked up for about $9. The wine is made by the Adega Coop. Regional de Monção, which is a massive collection of over 1,700 growers who farm about 1,200 total hectares of land spread between the Monção and the Melgaço regions of Vinho Verde. The co-op was established just south of the town of Monção in 1958 and only had about 25 growers at the time. The grapes are hand-harvested and vinified in stainless steel tanks. In the glass, the wine had a medium salmon pink color with just a little bit of effervescence. The nose was fairly aromatic with strawberry and grapefruit with some grapefruit peel and a slight grassy kind of herbaceousness to it. On the palate the wine was on the lighter side of medium with fairly high acidity and just a touch of effervescence. There were bright strawberry and watermelon fruit flavors with a touch of pink grapefruit as well. The wine was simple, fresh and fruity. If you can picture a zippy Sauvignon Blanc mixed with a bright, fruity rosé, that would be a good comparison for what this wine was like. It's a great summer wine that is really hard to beat for the money. Plus, how often do you get to cross off three different grapes from your Wine Century Club application for only $9?